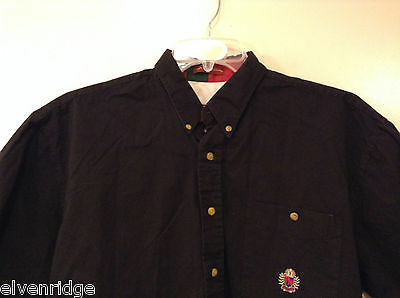 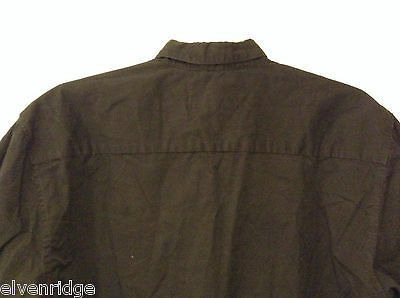 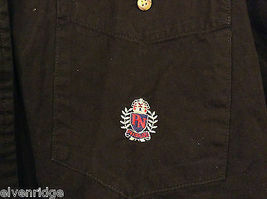 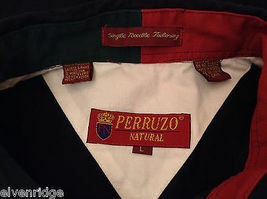 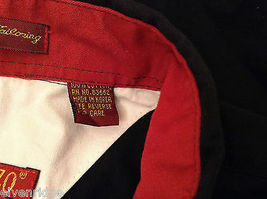 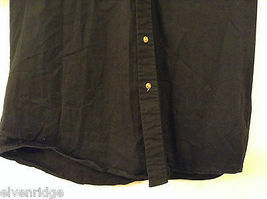 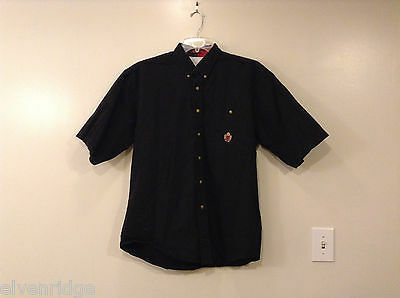 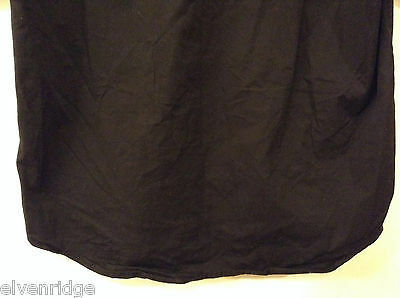 This is a Perruzo men's size L button-down shirt. 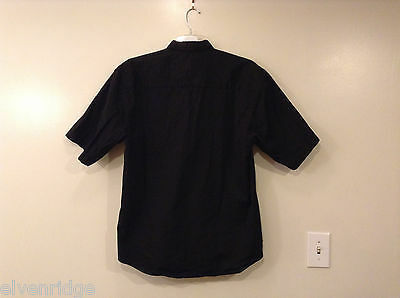 Crafted from 100% cotton, this black shirt has an embroidered chest pocket, a button-down collar, and short sleeves. Please carefully check the following measurements to ensure that the fit is right for you! 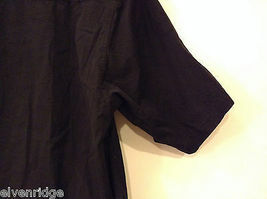 Shoulders (measured sleeve seam to sleeve seam across the shoulders): 22"
Sleeve length (measured sleeve seam at shoulder to end/bottom of sleeve): 12"
Chest (measured underarm sleeve seam to opposite same seam with garment laid flat and closed/buttoned, across the front): 24"
Length of garment (measured shoulder seam to bottom edge): 32"